Today was Day #7 of Chocolate and Cinnamon Theme Week, and Day #1 of Chocolate and Spicy Pepper Theme Week. 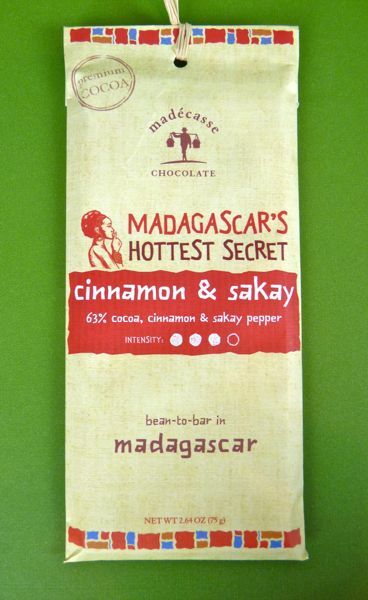 I was looking for a chocolate that might bridge these two theme weeks, and this Cinnamon and Sakay (bar) from Madecasse Chocolate (Brooklyn, NY), had a foot in both camps. 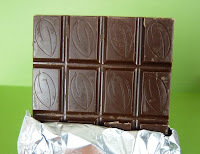 Made "in country" -- that is, from bean-to-bar in Madagascar -- this 63% cocoa bar base had a fairly robust flavor, with very subtle hints of cinnamon and a sakay pepper* finish. 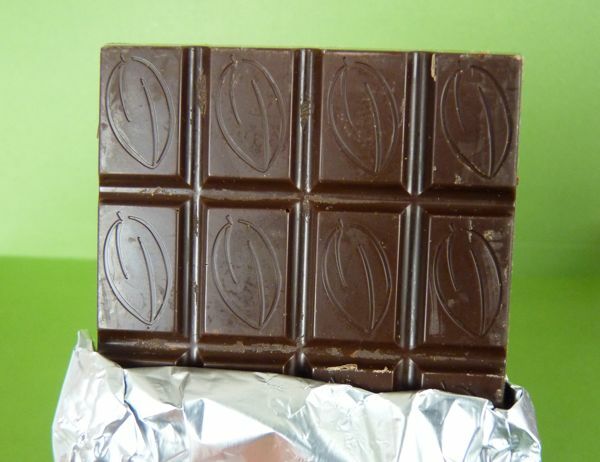 Madecasse founders took their Peace Corps volunteer experience in Madagascar and decided to make bars in the country where the beans were grown to help local people. I found this bar at Scream Sorbet in Oakland, CA, a store with the best sorbet flavors I've yet tasted -- chocolate flavors included. Each flavor is carefully crafted and has the freshness of a sorbet with the rich satisfaction of an ice cream or gelato. *The sakay pepper is found "in almost every home and restaurant on the island."